We all scream for ice cream, and G ourmet Cafes is listening! 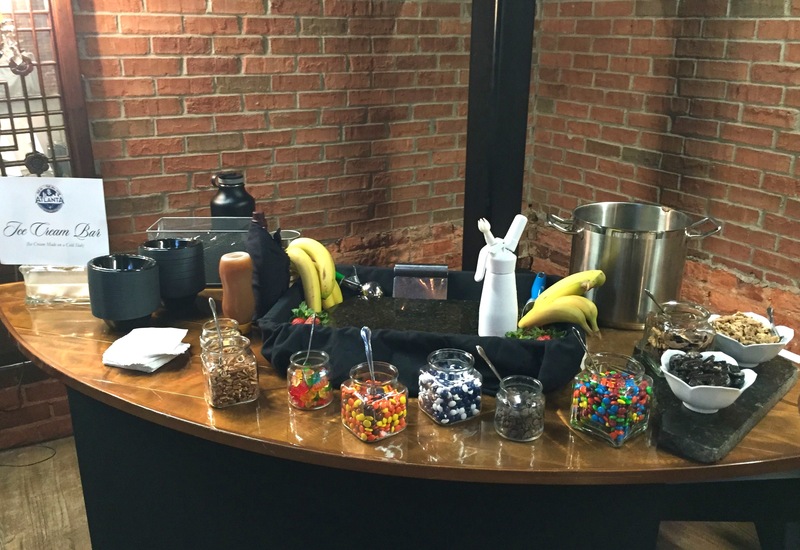 Our ice cream catering stations are a dream come true for any fan of frozen treats. We provide an array of delicious mix-ins, including candies, cookies, sprinkles, fresh fruit, syrups, and nuts. Your guests choose their favorites, and our attendant will mix up a custom ice cream flavor on a chilled granite slab right before their eyes. And, of course, we’ll top it off with a drizzle of chocolate or caramel sauce, a dollop of whipped cream and a cherry. 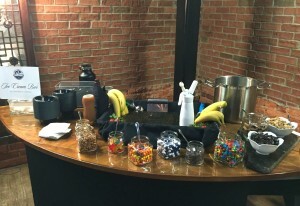 Our ice cream catering station are a favorite for kids’ birthday parties, graduation parties, or casual weddings. We can set up both inside and out, great for a pool party or a barbecue. And don’t worry about clearing out freezer space: we’ll bring our gourmet ice creams packed in coolers of dry ice, along with everything needed to set up our station and serve the ice cream sundaes.